Real snow finally came to the summit this week. 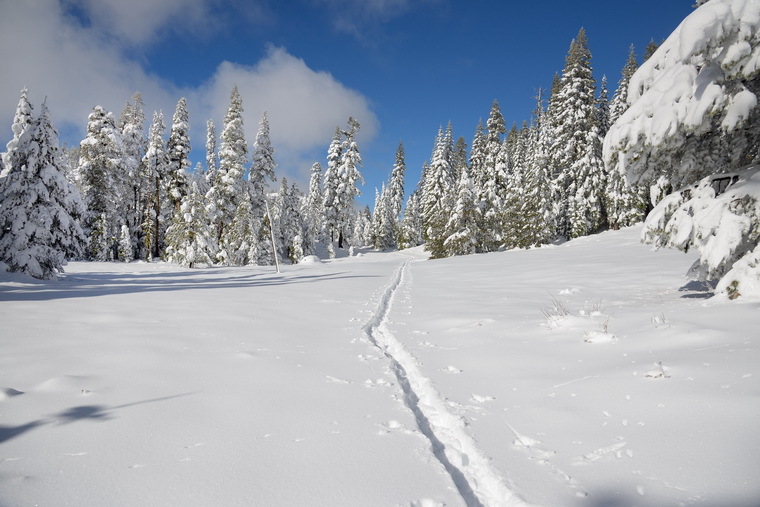 Took advantage of a beautiful day and wonderful snow to do a back country ski through Tiny Tim meadow. This is the first track through the meadow.